Circa 1936-1943: The plate is the backbone of a potteries line, and it is here on the Century shape plate that the simple scalloped corners harken to the art deco era and bring flair to this brilliant glaze. 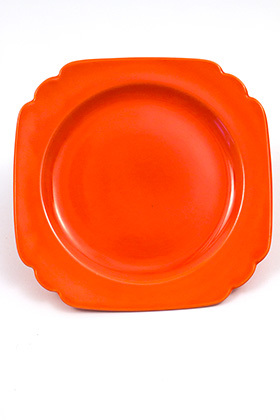 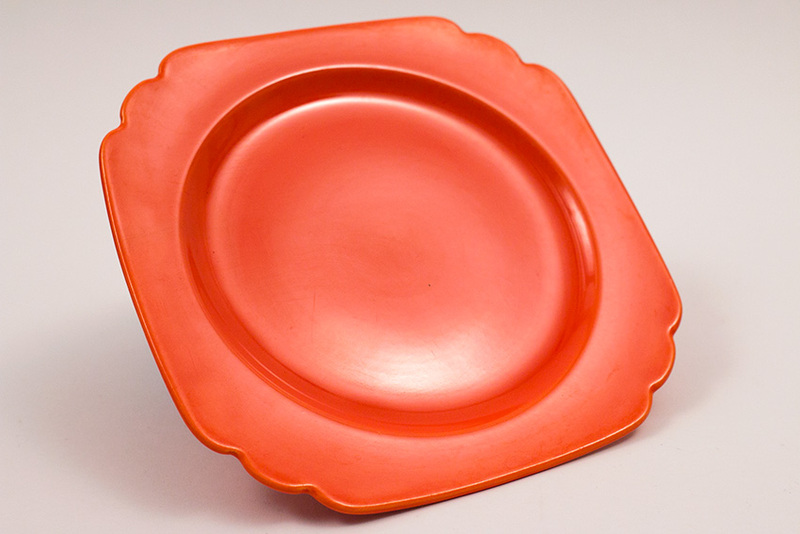 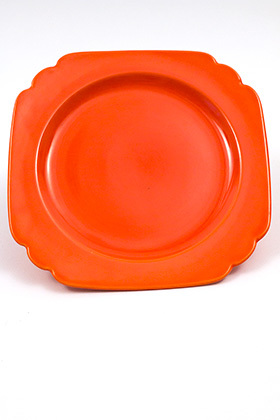 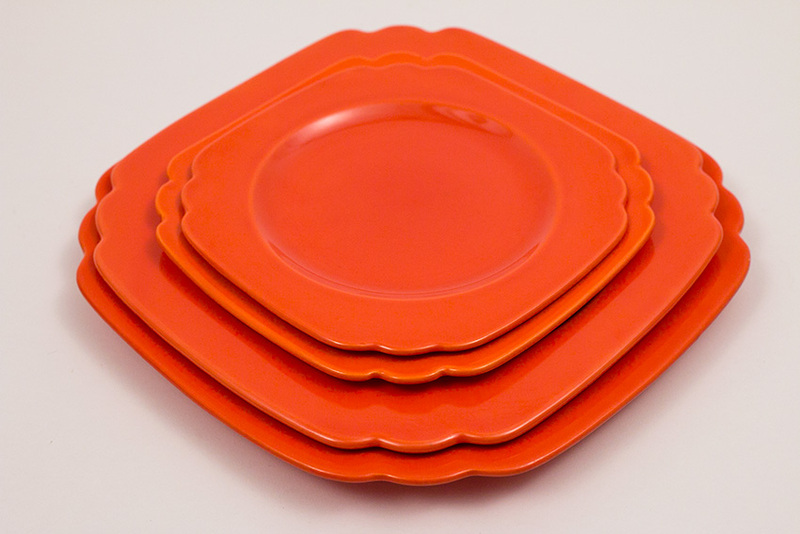 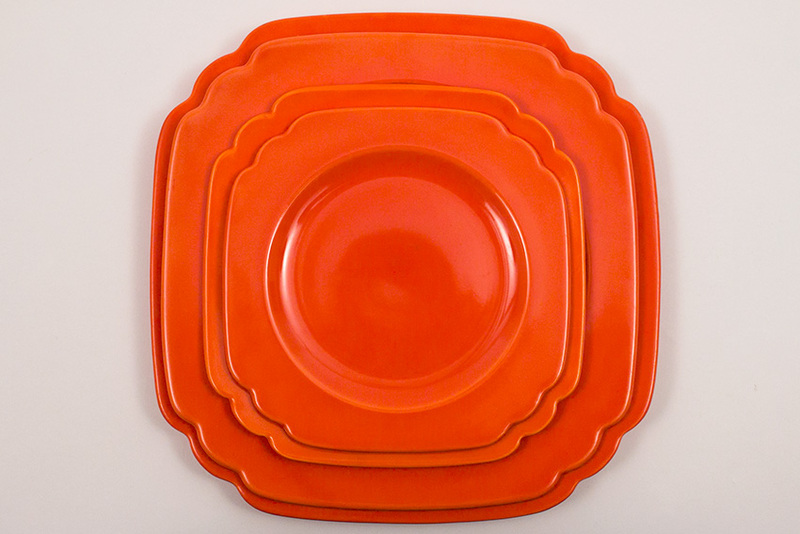 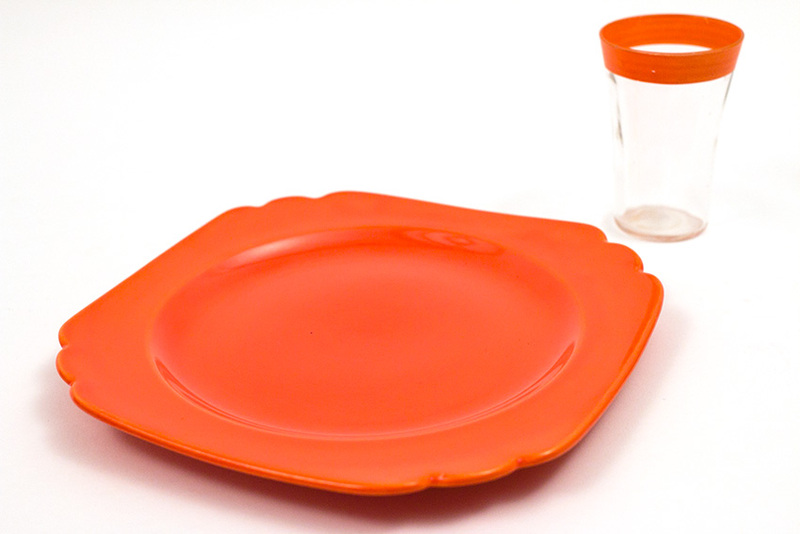 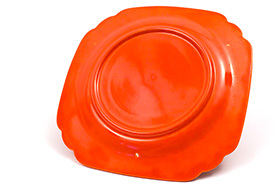 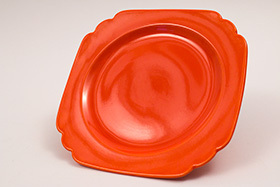 Dipped in the Vintage Fiesta red glaze for the Riviera line, this 7" salad plate is actually harder to find than one might think and as always is offered here without any chips or damage of any kind, just a gorgeous example of the early red. Measures 7 1/8" wide.